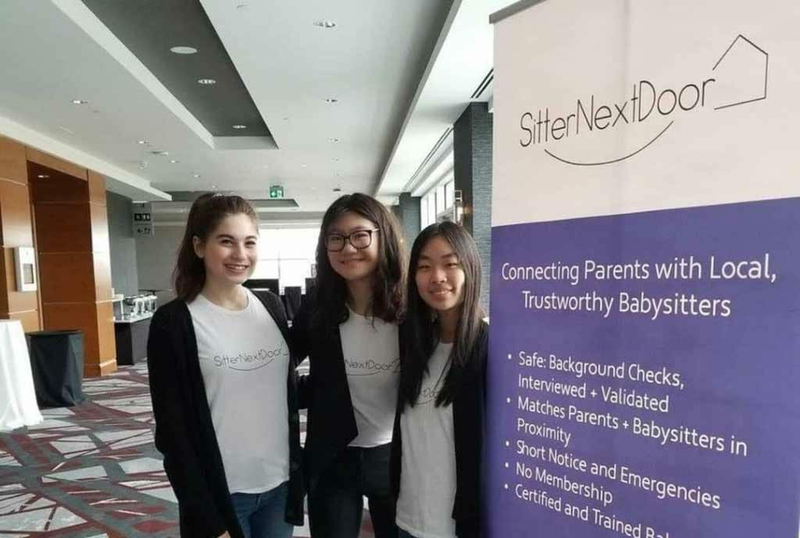 The founders of SitterNextDoor, Andrea Herscovich, Jenny Shen and Jenny Hua, pitched their business at the 2018 L-Spark Best in Saas Showcase for local startups. As technology continues to evolve, companies are finding new ways to adopt technology in their business models. 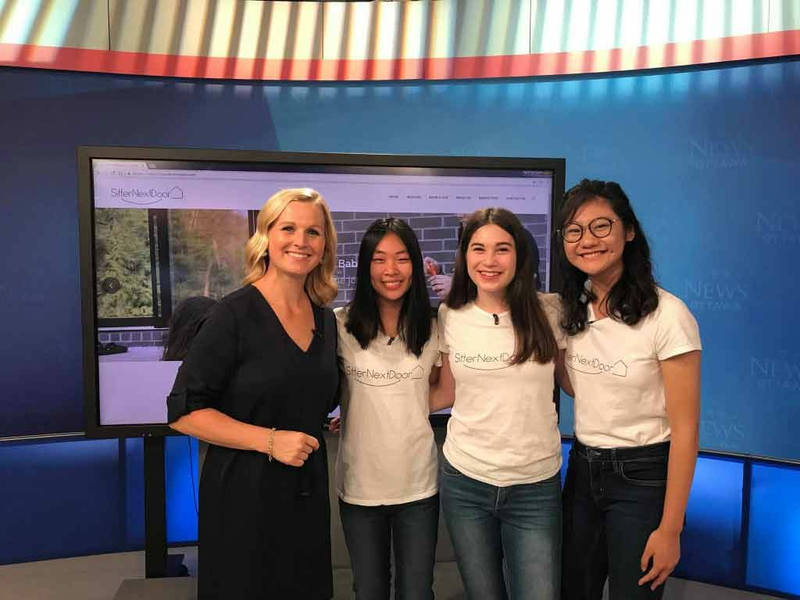 Local high school students Jenny Hua, Andrea Herscovich and Jenny Shen were tasked with solving a problem in their own community using technology. That’s the story behind SitterNextDoor, an online platform that matches parents with local vetted babysitters. Jenny Hua and Andrea Herscovich are both JA Ottawa alumni. Throughout the launch of their business, these entrepreneurs applied what they learned in the JA Company program. Jenny on the benefits of her JA Ottawa experience: “This program taught me skills that cannot be learned from a textbook. There was a lot of value in being able to perform a large amount of hands-on tasks such as doing our own production, planning and executing marketing and sales tactics, as well as building our own website.” Andrea also highlights the opportunity to meet with volunteer mentors as one of the positive aspects of her JA Ottawa experience. 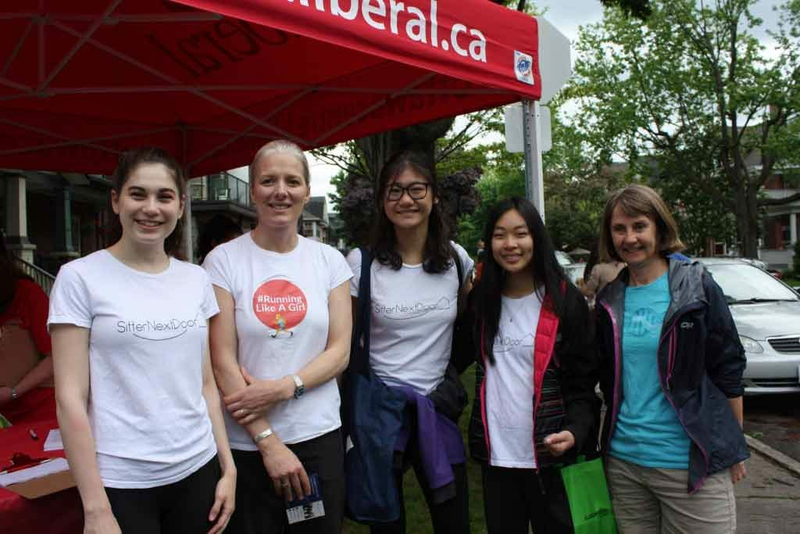 The SitterNextDoor team at their company launch during the Great Glebe Garage Sale, alongside Catherine McKenna, Minister of Environment and Climate Change, and Jennifer Francis of Technovation. SitterNextDoor was created through Technovation Ottawa, which teaches female students about entrepreneurship and technology. The trio was featured in the Ottawa Business Journal, the Ottawa Citizen, CTV Morning Live and CFRA Radio. We can’t wait to see what’s next on the horizon. It’s always inspiring to see JA Ottawa students thrive! Local entrepreneurs and JA Ottawa graduates Jenny Hua, Andrea Herscovich and Jenny Shen on the set of CTV Morning Live. Have a story to share? Tag us on Twitter, Instagram, or Facebook, or send us an email!